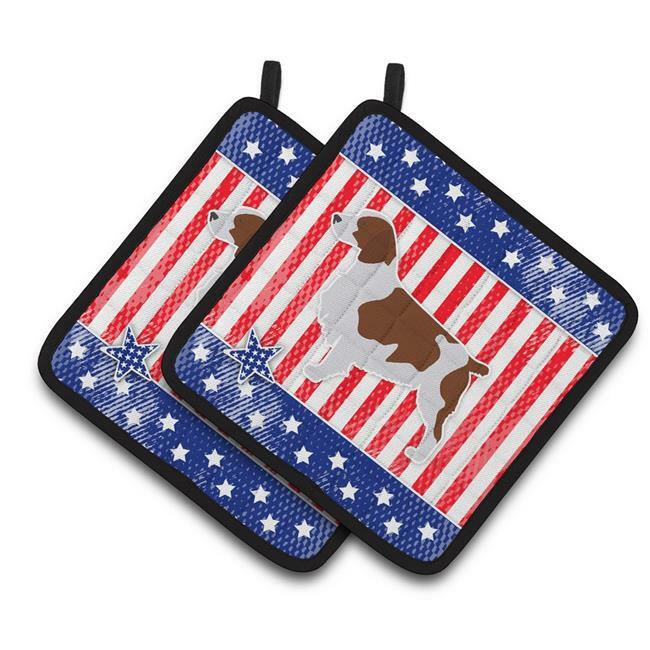 A Pair of Pot Holders to match your kitchen decor. Made in the USA these are thick and functional. Full color artwork decorates the front polyester fabric of the hot pad and accented by a black trim. Use these at as a trivet for your Thanksgiving or Christmas tablescape. Filled with insulated fabric and quilted for durability. These colorful pot holders will make a great gift for your favorite home cook or executive chef. A hanging tab is inlcuded.